At the beginning of my prayer life, I was afraid to pray because I didn’t understand the importance of it and I felt like my prayers had to be super formal and perfect. I was so scared that I didn’t know how to pray the right way that I didn’t. 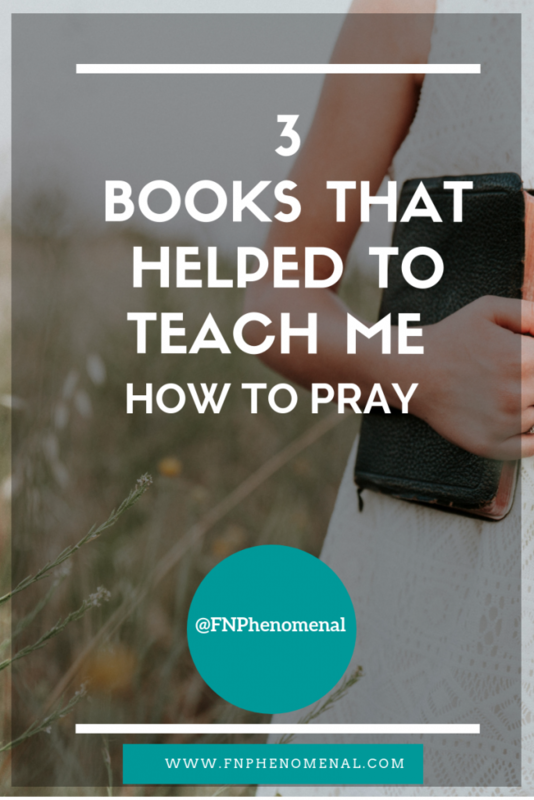 However, I used all of the books included in this post and with the completion of each book, I’ve grown more confident in my ability to pray. Although I still use devotionals in my prayer life, I also do stand-alone prayers as well. My hope is that these books give you a starting point to help you make prayer a daily part of your life or if you are already praying daily, to help you go deeper in your relationship with God. Prayer is the foundation of motherhood and of life. Therefore, it is important to have confidence in knowing how to pray and that God hears your prayers when you pray. However, there are reasons why we don’t pray and I’m going to share 2 of the many reasons why sometimes we may not pray. First, sometimes we don’t pray because we don’t know how. We think about eloquent persons who pray so beautifully and powerfully, and stop before we even begin because we think, “I’ll never be able to pray like that.” We focus on formalities and how to sound good and lose sight of the purpose of prayer, which is to communicate with God. So, just speak your heart because even when you don’t know what to say or pray for, the Holy Spirit intercedes to God on your behalf (Romans 8:26-27). Second, sometimes we don’t pray because we worry that other people are watching and worry about what they may think about us. But, there is power in a fervent prayer. 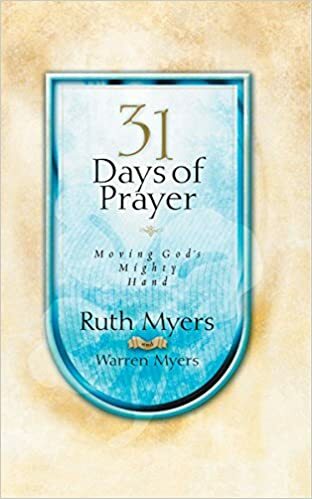 This post is going to share 3 books and even a bonus book that will help to aid you in developing a prayer life by helping to make prayer easier and more accessible by providing a non-intimidating place to start. Also, this post is a part of a series where I am sharing some of the books that have had a tremendous impact on my life. in my last book post, 3 Books To Help Single Moms Find More Peace In Motherhood I shared the books that helped me to find more peace in motherhood. In this post, I listed my 3 favorite parenting books that helped me to better define how I wanted to parent my children according to God’s way and also in an empowering way. This isn’t just a prayer book. This book helped to change my life. Let me tell you how God works. 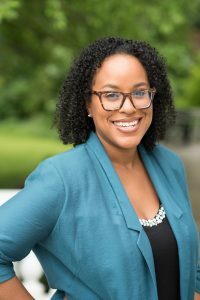 About 6 months before I got pregnant, I was at a large conference and I was sharing a hotel with my sister and a mutual friend who was a believer. On the way to the conference, a random lady at the airport gave our mutual friend a copy of the book Jesus Calling. When our friend arrived at the hotel room, he told us the story of how he was given the book on the trip into Hawaii where we were attending the conference and then he suggested that we have a daily devotional time while we were in Hawaii. My sister and I agreed and during the time that we were there, we all did group devotionals based on Jesus Calling. Fast forward to the end of that year and I saw the book on sale at Costco and I immediately recognized the book and purchased it and once the new year started I began using that book to guide my daily devotional since there was a devotional by calendar day. This new year happened to be the year in which I got pregnant. I didn’t know what to do. I was shocked and I felt frozen about the next steps to take. 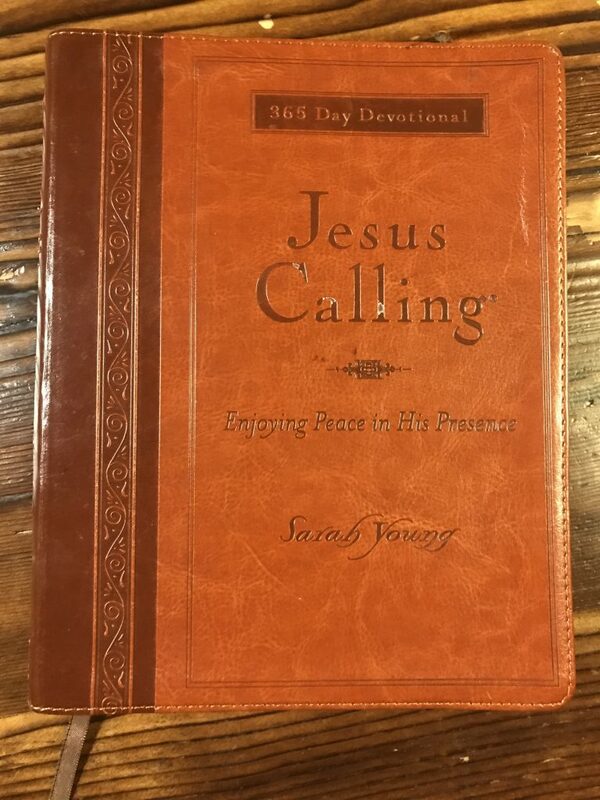 Regardless of how I felt, I never stopped my devotional and every single day the Jesus Calling book had a message that addressed how I felt that day and it helped to give me the strength to keep going. When I read that book, I felt like every day Jesus had a handpicked message just for me and knowing that I could lean on Him helped to give me the strength to keep going and allow Jesus to renew my spirit and my strength daily. I love this book for more mature Christians, but I especially for those who are new to the Word of God and may not know where to start praying or where to even start studying the Word of God. You can use this devotional by reading the message out loud and then studying the verse (or even entire chapter) that is listed in the book. This is an amazing way to learn more about God’s promises and how they apply to you. I purchased this book at the beginning of the year and I’ve already read it three times. This book was recommended by my church to use as a guided prayer during a time of fasting. Ever since I used it during that time of fasting, I’ve used it almost every day in my daily devotional time. I use this book for its daily, guided prayers and to learn more about the promises that God makes, His character, power and ultimately who He is. This book has been so educational for me and it is also helping me to see more of God in my everyday life. It is also helping me to rest more in the promises of God, because now I’m seeing that the promises aren’t far away or distant, but rather available to me through the power of Jesus Christ. Learning how to rest in the promises of God is also helping me find more peace. This is another book that I learned about during the time of fasting. 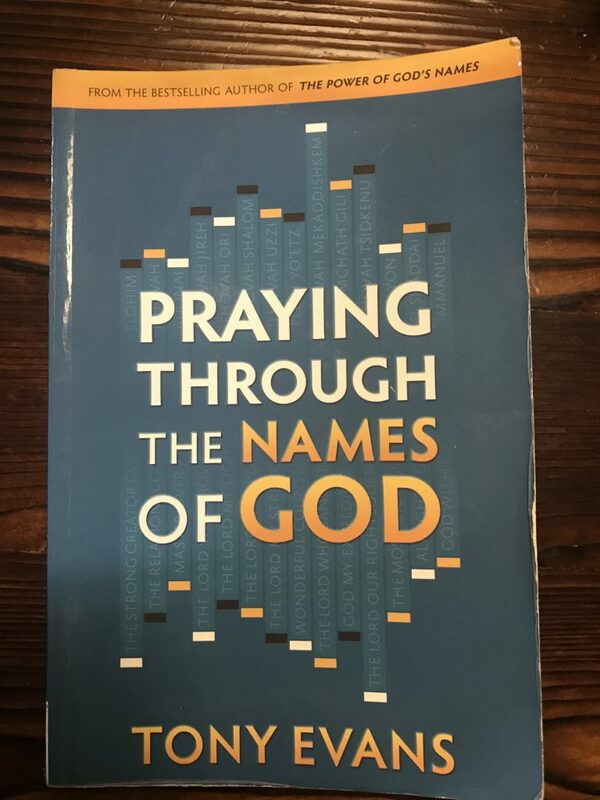 Similarly to the book, Praying through the Names of God, this book provides daily prayers that can be used in a daily devotional. I used this book to guide my prayers during a 30-day fast. I loved it because it helped me to pray for things in my own life, but it also helped me to start to think about praying for things that do not directly impact me. For example, in some cases, I prayed for the country, the world, people in other countries, those who do not yet know Jesus, etc. It helped to broaden my perspective that not only is my personal relationship with Jesus important, but I should also pray for other people to come and know the saving power of Jesus. 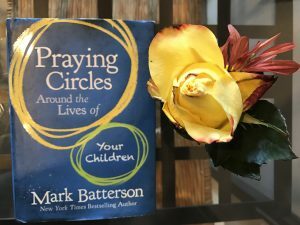 I included this as a bonus book on the post 3 Books To Help Single Moms Find More Peace In Motherhood, but I’m also including it here as well because it helped me tremendously in why it is so important to pray for my children. I hope that this post has helped you to identify resources that will help you to grow in your prayer life. One of the foundational aspects of walking with Christ is communicating with him. These books will help you to start or grow that process. One more thing: don’t try to read all of these at once. Go to God in prayer and ask Him to reveal to you where to start. God will lead you to the right book for your particular situation. If time is an issue, then don’t forget to use your commute read the book. I absolutely love Audible and they are offering a free 30-day trial and 2 free audiobooks to get started. Click this link to get access to this special offer. I don’t know how I would read as much as I do if I didn’t have Audible. You can also try Libby and Overdrive as well because these two apps are free. All you need to do is to register with the service with your library card and the apps are free.